This book is an introduction to the discipline and practice of genetic counseling. The text provides an introduction to genetic counseling as a clinical practice and includes sample counseling outlines and letters for students of genetic counseling. Mapping Our Genes - Genome Projects: How Big? How Fast? This booklet is a basic introduction to the role of genetics and epigenetics in diseases. It begins by examining conditions where there is a single faulty gene to blame, and moves on to diseases where there are likely to be many contributing factors. This study examines the ethical issues related to MRTs, outlines principles that would provide a framework for oversight of MRTs, and develops recommendations to inform the Administration's consideration of investigational new drug applications. Franklin explores how the normalization of IVF has changed how both technology and biology are understood. Drawing on science studies, Franklin charts the evolution of IVF from an experimental research technique into a global technological platform. Human genetics is the medical field with the most rapid progress. This book aims to provide an overview on some of the latest developments in several genetic diseases. This is a valuable resource for medical practitioners, researchers and students. Genetics helps to explain: What makes you unique, or one of a kind; Why family members look alike; Why some diseases like diabetes or cancer run in families; How learning your family health history can help you stay healthy; and much more. This volume provides an unparalleled means of reviewing the world literature on all common and rare chromosomal alterations and abnormalities. Subject areas: variations and anomalies, numerical anomalies, and chromosomal breakage syndromes. The aim of this book is to cover key aspects of existing problems in the field of development and future perspectives in gene therapy. Contributions consist of basic and translational research, as well as clinical experiences. An introduction to how genes and environments interact through development to shape differences in mood, personality, and intelligence. An introduction for non-scientists to the behavioral genetics and its broader ethical and social implications. This is a practical guide to human linkage analysis, with emphasis on the use of various computer programs. Much of the book consists of detailed instructions on how to carry out linkage analyses such that novices will be able to complete them. 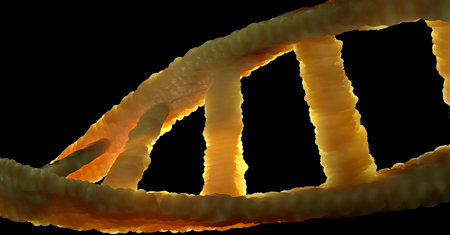 A collection of articles that discuss genes and the diseases that they cause. These genetic disorders are organized by the parts of the body that they affect. With each genetic disorder, the underlying mutation is discussed.